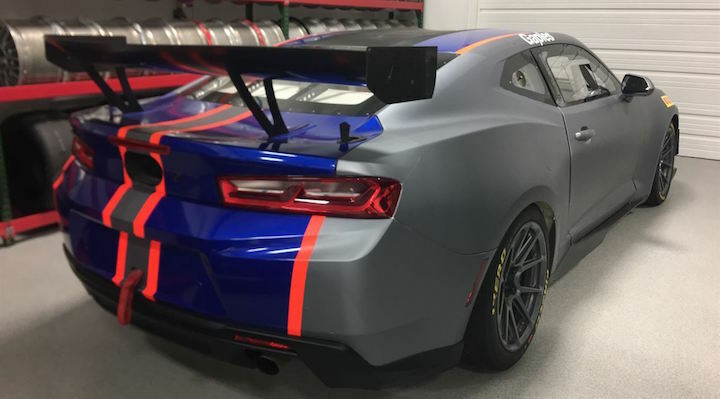 There are only a handful of Chevrolet Camaro GT4.Rs left racing in the United States. One of the teams that raced the car in the Pirelli World Challenge (now the Blancpain GT World Challenge), Blackdog Speedshop, has switched over to the McLaren 570S GT4 platform, leaving just three Chevys racing in GT4 competition in America: one for new IMSA Michelin Pilot Challenge team Rebel Rock Racing and two for Blancpain team Robinson Racing. 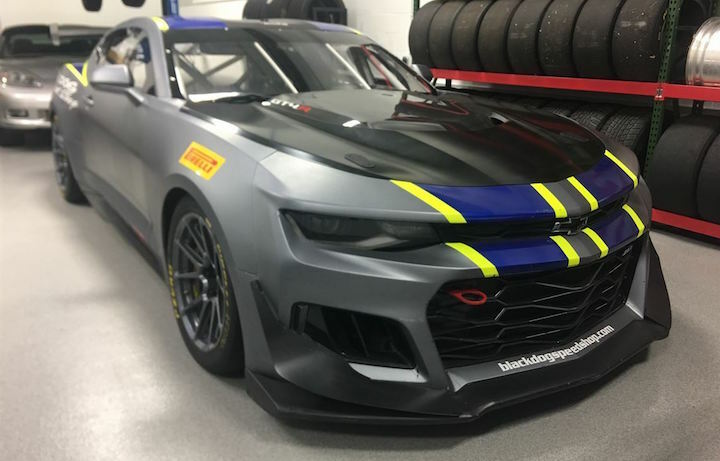 You could be the next person racing the Camaro GT4.R on its home turf, however, with Black Dog Speedshop listing its two Camaro GT4.R race cars for sale through motorsports classifieds website Race Cars Direct. These cars are the two that carried the team to the 2017 Pirelli World Challenge GT4 Manufacturer’s Championship and are offered with “substantial spares packages.” They are offered together for $650,000, but Blackdog Speedshop is also willing to sell them separately. Built to GT4 specifications, the Camaro GT4.R has a naturally aspirated 6.2-liter Small Block V8 engine making 480 horsepower, which is paired with a six-speed sequential transmission from X-Trac. 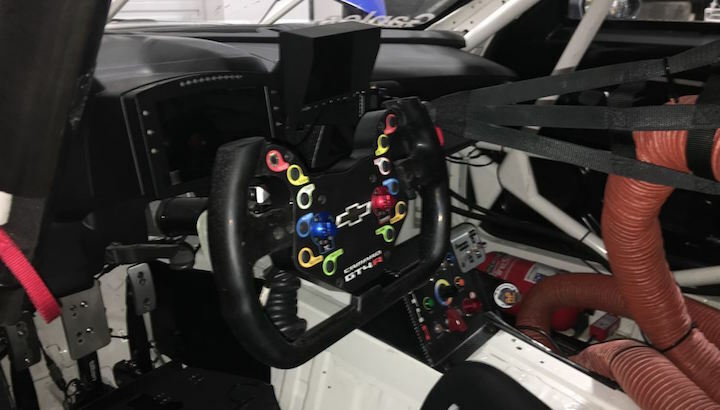 Fully adjustable suspension, an FIA-compliant roll cage and race seat, fire suppression equipment and other gear necessary for GT4 racing is on the table as well. Built by Pratt & Miller, the Camaro GT4.R is a customer race car and is still available to buy today, even though it is only being raced by two teams in the U.S. currently. In addition to Blackdog Speedshop and Robinson Racing, Stevenson Motorsports also raced the car for the 2017 season, however that team shuttered its operations at the end of 2017 after the sudden passing of team owner Johnny Stevenson. Dutch team V8 Racing also has a single Camaro GT4.R it races in the SRO-sanctioned GT4 European series. Check out the listing for Blackdog Speedshop’s pair of Camaro GT4.R race cars at this link. Like this story? Subscribe to GM Authority for more Chevrolet news and Camaro news. V8 Racing’s Camaro ran very well in both GT4 Europe races at Monza this weekend. Both races are on YouTube on the GTWorld channel.